Club Penguin Cheats by Mimo777 Club Penguin Cheats by Mimo777: Club Penguin Underwater Expedition Construction! 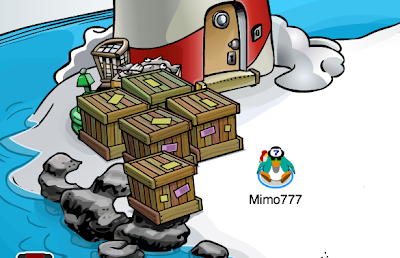 Club Penguin has added boxes to the Beach for the Underwater Expedition! To earn stamp, just dance with only your hard had on! 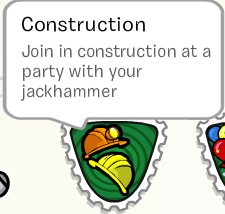 Don't have a hard hat? You can find one in the Underground Mine Cave! Cool huh? I wonder how Rookie is gonna mess this up and sink the island? Did you notice the water is rising?